In such acclaimed novels as The Photograph, Family Album, and How It All Began, Penelope Lively has captivated readers with her singular blend of wisdom, elegance, and humor. Now, in her first story collection in decades, Lively takes up themes of history, family, and relationships across varied and vividly rendered settings. In the title story, a Mediterranean purple swamp hen chronicles the secrets and scandals of Quintus Pompeius's villa, culminating with his narrow escape from the lava and ash of Vesuvius. “Abroad” captures the low point of an artist couple's tumultuous European road trip, trapped in a remote Spanish farmhouse and forced to paint a family mural and pitch in with chores to pay for repairs to their broken-down car. Other stories reveal friends and lovers in fateful moments of indiscretion, discovery, and even retribution -- as in “The Third Wife,” when a woman learns her husband is a serial con artist and turns a house-hunting trip into an elaborately staged revenge trap. Each of these delightful stories is elevated by Lively's signature graceful prose and eye for the subtle yet powerfully evocative detail. 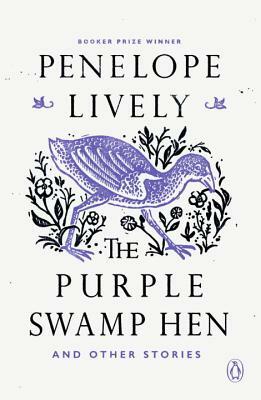 Wry, charming, and keenly insightful, The Purple Swamp Hen and Other Stories is a masterful achievement from one of our most beloved writers.